Brilliant to accompany any dinner and a tasty starter, snack or nibble at a party! Wash the kale and dry thoroughly. Place in a large bowl, tearing any large leaves into smaller pieces. 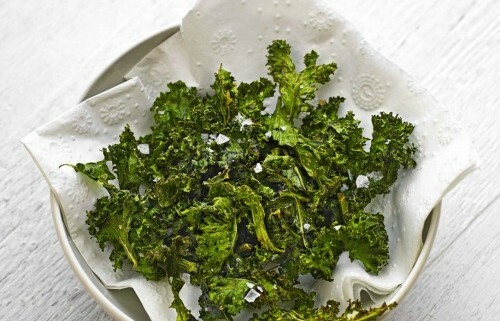 Drizzle over the oil, then massage into the kale. Sprinkle over the ras el hanout and some sea salt, mix well. Tip onto the trays and spread out in a single layer. Bake for 18-22 mins or until crisp but still green, then leave to cool for a few mins.